This entry was posted in Digi. 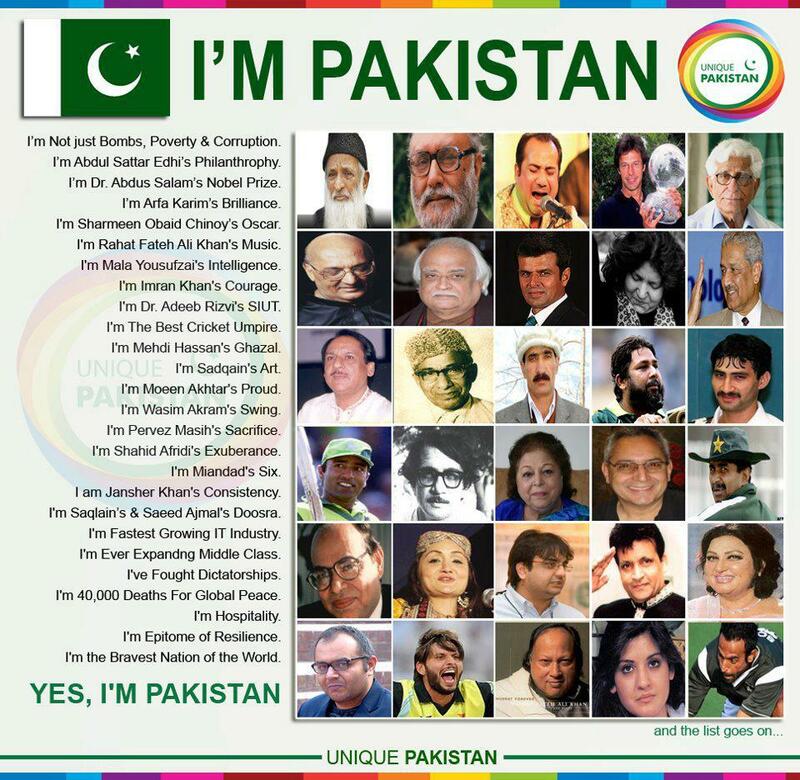 Diary and tagged abdul sattar, Arfa Karim, Dr. Abdus Salam, Dr. Adeeb Rizvi, Imran Khan, Jahangir Khan, Jansher khan, Mala Yousufzai, Moeen Akhter, Pakistan, Pakistan Politics, Rahat Fateh Ali k, Sahrmeen obaid, Saqlain mushtaq, Shahid Afridi, Wasim Akran. This entry was posted in Knowledge Bank, Politics and tagged 15 june zero point, 15-June-2K10, Javed Choudhr, Pakistan Politics, zero point. 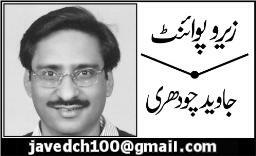 This entry was posted in Knowledge Bank, Politics and tagged Express News, Javed Choudhr, Pakistan, Pakistan Politics, zero point, zero point 11 june. 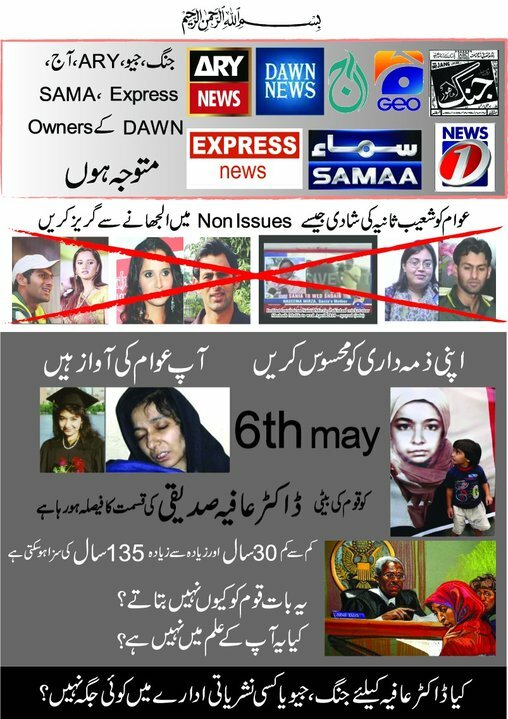 This entry was posted in Knowledge Bank, Politics and tagged 6th May, Dr. Afia, Pakistan, Pakistan Politics, Shoaib Sania. The 12 member jury deliberating the fate of Dr. Aafia Siddiqui has returned with a verdict of Guilty on all seven counts of attempted murder and assault charges. She faces life in prison. Her defense attorney’s have already been preparing an appeal which they said they will be filing expeditiously. Judge Richard Berman has scheduled sentencing on May 6th, 2010.
and (5) assaulting United States officers and employees in violation of Title 18, United States Code, Section 111(a) (Counts Five through Seven). This entry was posted in Knowledge Bank, Politics and tagged Dr. Afia, Pakistan, Pakistan Politics. This entry was posted in Knowledge Bank, Random and tagged Loan Waiver Beneficiaries (Urdu Version), NRO, Pakistan, Pakistan Politics. ISLAMABAD: In a country where over 40 per cent of the population is said to be languishing under the poverty line with families surviving on less than $2 a day, the shameful revelation of the filthy rich getting loans worth over Rs100 billion written-off owing to their formidable clout is shocking the nation. And this shameful list carries some of the biggest names of our power elite. The names of Ch Shujaat and Ch Pervez Elahi were found among about 1,000 influential businessmen and Army men who got a total of Rs18 billion loans written-off from the government-owned banks during the first three years of the military government. The list was submitted in the NA when Zafarullah Jamali was the prime minister and Shaukat Aziz was the finance minister. The first loan of Rs70 million was outstanding against the Punjab Sugar Mills and was written off by the National Bank of Pakistan along with the actual loan amount. The mill was owned by Chaudhry Shujaat Husssain, Chaudhry Mansoor Elahi, Chaudhry Pervez Elahi, Chaudhry Gulzar Mohammad, Chaudhry Wajahat Hussain, Chaudhry Sabhat Elahi, Mrs Qisara Elahi (wife of Chaudhry Pervez Elahi), Mrs Kasur Hussain (wife of Chaudhry Shujaat Hussain), Mrs Khalida Begum (wife of Gulzar Muhammad). The second loan of Rs15 million was written off by the UBL outstanding against Punjab Sugar Mills. The beneficiaries were once again Ch Manzoor Elahi, Ch Shujaat Hussain, Pervez Elahi, Wajahat Hussain, Shafaat Hussain, Gulzar Ahmed and Mrs Qaisra Elahi, Khalida Begum, and Kauser Hussain. The UBL once again wrote off another loan of Rs34.1 million outstanding against the Spaco Private Limited. The beneficiaries were the same — Ch Pervez Elahi, Shujaat Hussain, Manzoor Elahi, Wajahat Hussain, Sabahat Elahi, Mrs Kauser Hussain, Qaisra Elahi. It may be added that these loans were written off after declaring their industrial establishments as “sick industry or on the pretext of bankruptcy.” Many of them denied having got their loans written-off. The political sources claimed that Shahbaz Sharif and Nawaz Sharif knew this troubling fact about the Chaudhrys of Gujrat. Even Imran Khan had been showing the official documents of another bank, which had also written off loans to get the Chaudhrys disqualified from contesting the elections. But his desperate pleas were never entertained by the Election Commission of Pakistan courtesy the might and clout these cousins enjoyed during the early years of General Pervez Musharraf in power. The sources said, on the basis of their own knowledge about the Chaudhrys loan write off, the Sharif brothers were agitating the issue of loan write-off in the media with the public demand to put all the loan beneficiaries on trial after recovering the written-off amounts. The mighty Chaudhrys of Gujrat — Ch Shujaat Hussain, Ch Pervez Elahi and their family members — reportedly got three different bank loans of Rs120 million written off from the National Bank and United Bank of Pakistan during their heady days of power. This has been revealed in the official record of the National Assembly library, which has now formally confirmed that several top politicians and their family members had quietly got several bank loans written off, which had been outstanding against their sugar and textile mills and other industrial units. These bank loans were mainly written off by the state-run National Bank of Pakistan and United Bank Limited in the past. The official record available with The News, which was placed in the NA in the last one decade, revealed that a total of Rs30 billion loans were written off between 1985-2002, which had been outstanding against the top politicians and powerful industrial groups of the country. The list was compiled by the then caretaker government of 1993 led by Moin Qureshi. In 2007, Auditor General of Pakistan revealed in its report that during the period 2002-2007, a sum of Rs54 billion was written off by Musharraf government. Thus, total figure had reached to Rs85 billions. But, now the recent official report to the NA during the question hour revealed that the total figure of written-off loans had finally crossed over Rs100 billion, after adding the loan amounts written off during two years of PPP government since 2008. The official list of loan write-off beneficiaries of different periods since 1985 to 2002 revealed that former speaker Gohar Ayub Khan’s family and former Chief Minister Balochistan Jaam Yousuf, are also among other prominent politicians, who got the loans written off from the banks. The three mighty business families of Pakistan are also among the beneficiaries of these loan write offs in the past. The former housing minister of General Pervez Musharraf -Abbas Sarfraz is also among the beneficiaries who got a massive loan against his sugar mill written off. Lt General Habibullah and Brig M Jan are among the list. The Saifullah family of Lucky Marwat got four loans written off from different banks. The names of Anwar Saifullha Khan, Javed Saifullah, Hamayun Saifullah, Arbab Saddaullha Khan, Shah Jehan Khan, Nisar Khan are part of the list submitted in the NA in 1994 in response to a question by MNA Barjees Tahir. First, the Saifullah brothers got loans written off against their mill— Ms Kohat Textile Mills from the National Bank. The matriarch of the Saifullah family, Mrs Kalsoom Saifullah also got a loan of Rs12 million written off from NBP against Ms Frontier Towel Works, Kohat. Industrial bank also wrote off loan of Rs26 million of Javed Saifullah, Salim Saifullah, Hamayun Saifullah and others against Kohat Textile Mills. The MCB also wrote off loan against the Kohat Textile Mill. Jatoi family of Sindh also got a loan of Rs6.7 million written off from UBL. The beneficiary was Dr Ghafar Jatoi and his brothers. Leghari family also got Rs67 million loans written off from UBL. The beneficiaries included Jafar Khan Leghari, Jamil Ahmed Khan Leghari, Yousuf Khan Leghari, Tariq Khan Leghari, Atta Mohammad Leghari, etc. Saigal group got the loan written off against Omaryar Limited, Lahore. The group got another loan of Rs4 million written off from the UBL. A loan of Rs10.3 million was written off by Investment Corporation of Pakistan. Iqbal Z Ahmed, Mrs Saira Ahmed also got a loan of Rs5.5 million written off from United Bank of Pakistan. Another small loan of Rs1.4 million got written off from UBL against Hassan Ali and company. A loan of Rs18 million was also written off against Hashoo Holdings. Meanwhile, investigations conducted by this correspondent after going through the official record of the National Assembly Secretariat, where all these loan documents were placed from time to time since 1994, even Daewoo Corporation of Pakistan was one of the beneficiaries of such big loans written-off by the government banks. National Bank of Pakistan had written off a loan of Rs10 million against Daewoo. The loan was outstanding against Kim Waoo Choong, Kim Joun Sung, Lee Woo Bok, Yoon Nuke NEON, Chui Myoung Kul. The list showed that Karachi-based businessmen have been treated with exceptional kindness by the National Bank of Pakistan. According to the list of such people whose loans and principal amounts were written-off during the last three years, National Bank of Pakistan wrote off billion of rupees from taxpayers’ accounts. Most of the written-off loans went to the textile and industrial giants of the country owned by mighty businessmen, politically influential, former bureaucrats and military officers. The big industrialists like Adamjee Industries owned by Farooq Sheikh, Mrs Shireen Farooq, Mumtaz Sheikh, Tahir Sheikh got Rs448 million written-off from the NBP. Mohib Textile owned by Asif Saigol also got Rs1.1 billion written-off in 2002. The other big names included in the list are First Tawakkal Modaraba owned by Abdul Qadir Tawakkal, Mohammad Rafiq Tawakkal, Alif Husain Mooney, Abid Hussain Rs621 million written-off, National Frutctose Limited owned by Shairullah Durrani got Rs681 million written-off, Glamour Textile Mills owned by Iftikhar Ahmed Malik got Rs533 million written-off and others. Two foreign nationals also got the loans written-off. Pakland Cement got Rs10 million written off, Cast N Link owned by Anwar Ahmed got Rs159 million written-off. Taha Spinning limited got Rs64 million written off. Following is the list of mighty individuals and business tycoons whose loans were written-off in majority of cases along with principal amount from National Bank of Pakistan (NBP). KARACHI: Zahid Fazal (Farah Enterprises) Rs09 m; White Bird Chick Limited Rs8.2 m, Advance Computer Technology Rs1.1 m, Hamid D Habib of Balochistan Glass Rs6 m, Latif Paul of TS Latisons Rs0.5 m, Anisure Rehman of Zeb Enterprises Rs1.9 m, Chaudhry Mohammad Younis of Ice Land Cold storage Rs16 m, Mohammad Saleheen of Naveed Farbics Rs0.7 m, Younis Rs0.5 m, Mohammad Sultan Rs0.5 m, Azhar Jamil of Sindh Industries Enterprises Rs0.2 m, Mushtaq Ahmed Rs0.5 m, Asghar Ali Rs05 m, Fida Mohamamd Rs0.5 m, Mohammad Ismail Rs0.5 m, Abdul Sattar Rs0.5 m, Lal Mohamamd Rs0.5 m, Mohammad Akbar Baloch Rs0.5 m, Ghulam Farooq Rs0.5 m, Amir Baksh Rs0.5 m, Mohammad Naseem Rs0.5 m, M Shoaib Rs0.5 m, Liaqat Ali Khan Rs0.514 m, Khaliq Farooqi Rs0.5 m, Irfan Rs0.572 m, Irfan Rs0.572 m, Sikandar Rs0.5 m, Asrar Hussain Sarbazi Rs0.56 m, Abdul Hameed Rs0.576 m, Mohammad Yaqoob Rs0.576 m, Shafqat Rehman Rs0.575 m, Shahbaz Aqeel Rs0.575 m, Abida Sultana Rs0.509 m, Mohammad Hanif Rs0.5 m, Tarranum Baig Rs0.5 m, Hidyatullah Farid Rs1.3 m, Pak Hardware and Paint Rs0.9 m, Mohammad Ali Rs0.5 m, Sh Mohammad Zahid Rs0.5 m, Mohammad Ayub Rs0.5 m, Nadeem Ahmed Rs0.5 m, Mushtaq Ahmed Rs0.517 m, Mushtaq Ishaq Rs0.5 m, Mir Mohammad Baloch Rs0.5 m, Mohammad Altaf Hussain Rs0.5 m, Abdul Khalil Rs0.5 m, Abdul Rahim Khatri Rs0.517 m, Imam Buksh Rs0.535m, Abdul Hameed Rs0.576 m, Wideyat Ali Rs0.5 m, Rizwan Hasan Rs0.5 m, Mohammad Sarwar Rs0.5 m, Maqbool Hussain Rs0.5 m, Ali Asghar Rs0.512 m, Shahnawz Rs0.524 m, Jawed Floor Mills of Rana Mohammad Siddiqui Rs20 m, Muhammad of Madina Food Industries Rs1.45 m, Syed Qmar Hai of Indus Poultry Farm Rs0.55 m, Mian Maqbool Ahmed of Alam Shuttle Industries Rs2.432 m, M Yousaf Khan of Progressive Industries Enterprises Rs0.7 m, Abdul Rashid of Aziz Company Rs0.5 m, Nasir Hussain Shah of Shah Cotton Factory Rs5.4 m, Hazoor Khan Chanido of Chandi Floor Mills Dadu Rs0.7 m, Pir Sarfrarz Ahmed of Nawab Shah Rs0.8 m, Munawar Hussain Rs0.722 m, Manzoor Hussain of Al Imran Hotel Ranipur Rs0.6 m, Arjandas of Arjandas Rice Rs1.05 m, Atta Mohamamd Marri of Mari Fish Farm Rs0.7 m, Atta Mohammad Mari Rs1.4m, S Zaheer Hussain Shah Rs0.9 m, Mst Ashraf Begum Rs0.5 m, Mohammad Idris Rs0.6 m, Sardar Taj Mohammad Rs0.8 m,Sh Saleem Ali of Capital Flour Mills, Murdikey Rs3 m, Mohamamd Afazal of Arshaq and Co, Lahore Rs0.9 m, Sanullah from Gujranwala Rs0.6 m, Hassan Ali Khan of Lahore Rs0.5 m, Sh Abdul Rehman Rs1.33 m, Lali Akbar of Abbas Trader, Kasur Rs0.8 m, Tariq Mir of Mir Iron Store, Lahore Rs0.5 m, Mustafa Ali Mir, Lahore Rs0.6 m, M Latif of Arshad Latif Indus Rs6.3 m, Mohammad Riaz of Riaz Furniture House Rs0.8 m, Mohammad Amin Khan of Makran Int Rs1.7 m, Haji Mohammad Ishaq of Tariq Industries Rs0.9 m, Mian Mohammad Sarwar of Al Ahmed Knitting Rs1.3 m, Mohammad Ahmed of M A S Stell Mills, Lahore Rs0.9 m, Mian Hamid Sarwar of Shishmahal Hosiery Rs0.9 m, Sh Mohammad Ashraf of Ashraf Ice Factory Rs0.9 m, Gulshan Begum W/o Zubaidullah Khan of Lahore Rs0.5m, Iftikhar Ali of Lahore Rs0.5 m, Khalid Bashir Khokar of Lahore Rs0.5 m, Arshad Javed Ghurki, Lahore Rs0.5 m, Arshad Javed Khurki, Javed Ghurki, Mhammad Khalid, Jamshed Asghar Ghurki, Sohail Asghar Ghurki, Mrs Rubina of Unique Trading, Lahore Rs0.891 m, Mohammad Iqbal of United Factory Rs0.5 m, Syed Izhar Hussain of Bhatti Brothers Sheikhupura Rs0.9 m, Abdul Rauf Qureshi of Rauf Corporation Lahore Rs0.6 m, Dr Abdul Rauf of Leatheron Lahore Rs0.7 m, Sabir Javed Lhr, Rs 1.2m, Azfar Manzoor Lahore Rs1m, Mrs Qaiser Manzoor Lahore Rs 1.2m, Mohammad Iqbal Javed of Mughal Technical Indus Lahore Rs 0.4m, Mohammad Ishaq Khan of Zahid Industries Lahore Rs 1.5m, Khalid Hatyat of Millat Corporation Rs 0.4m, Mohammad Azhar Leghiar, Dewan Aashiq Hussain, Umer Hayat Bosan, Shauakt Hayat Bosan, Niaz Ahmed, Muzaffar Hussain Bokhari, Mushtaq Shah and Nazar Abbas of Hayat Textile Mills Lahore Rs 110 million, Ghulam Mustafa Khan of Nashika Impex Lahore Rs 4.3m, Mian Tajamal Hussain, Mian Nusratuddin, Mrs Azra Tajamal, Mrs Laila Nusrat, Mrs Saeeda begum of Chenab textile Mills Lahore Rs 25m, Mian Abdur Rehman of Abdulur Rehman and Com Bhwalpur Rs 1.6m, Mian Ghulam Owais Owasi of Owais Industries Bhwalpur Rs 0.9m, Shad Ahmed of Shahzad Cotton Rahim Yar khan Rs 0.9m, Ch. Mohiuddin of Five Star Industries Okara Rs 0.7m, Mohammad Ehsan of Ehsan Soap factory Lahore Rs 09m, Sh. Abdul Jabbar of Feroze Oil and General Mills Okara Rs 0.6m, Sh. Mohammad Latif of Baba Farid Roller flour mill, Pakpattan Rs 0.6m, Shafiqe Ahmed of Mehran Cotton Multan Rs 1.m, Asad Zuabir of Jhangir Industries Multan Rs 0.5m, Riaz Ahmed of Riaz Textile Mills Multan Rs 0.6m, Ch Niaz Muhmmad Multan Rs 0.5m, Zulifkar Ali Industries Multan Rs 0.8m, Hamid Azmat Sheikh of Azmat Towellers Industries Multan Rs 2.4m, Mohammad Hussain of Rafay Textile Industries Burewala Rs 1.4m, Mohammad Ashgar of Asif Oil Mills Kehror Pacca Rs 0.6m, Mohammad Iqbal of Mashal Cotton Kehror Pacca Rs 0.6m, Mohammad Iqbal of Asif Irfan Cold storage Mianchannu Rs 1.4m, Mohammad Nazir of Mudhwal Enginnering Khushab Rs 4.7m, Farooq Saigal, Usman Siagal, Umer Saigal, Saleem Saigal of Kohirnoo textile Mills Liaquatbabad Rs 29m, Abdul Rehman of Gatth Foundary Workshop Faisalabad Rs 7.3billion, Ashraf Textile Rs0.7m, Mohammad Ashraf Rs 1.2m, Universal enterprises Faisalabad Rs 1.m, Javed Autos Sargodha Rs 1.0, Khursheed Ahmed Shad Faisalabad Rs0.66, Imran Saleem Ch. Gujrat Rs 0.737m, Jhangir Saleemullah Gujrat Rs 0.9m, Adnan Aziz Trader Gujrat Rs1.2m, Inayat Industries Gujrat Rs 1.2m, M. Rashid General Metal Works Gujrat Rs 0.8m, Safdar and Com Gujrat Rs 2.2m, Younis-National Weaving Fact, Gujrat Rs 1.2m, S. Mohammad Oil Mills Attock Rs 1.286m, Imran Shah and Bros Rwalpindi Rs 1.03m, Hazara Wodden Mills Rawalpindi Rs 1.133m, Lt. Col Rabnawaz of Nawaish Gypsum Jhelum Rs 0.6m, Food Department of NWFP Rs 3.434m, Begum Noor Jehan Mardan Peshawar Rs 6.8m, K. Mahmoodullah of MS LTCF, Islamabad Rs3m, Seth Dawood Group of MS Pakistan Paper corporation Charsada Rs 19 million, Seth Sahbir Hussain of MS Castle Industries Haripur Rs 12 million, Fateh Weeolen Industries Rs5million, Juma Khan Quetta Rs 4.6 m, Abdul Qayum Quetta Rs 0.5m, Ghazi Khan Quetta Rs 0.7m, Syed Abdul Rashid Quetta Rs 0.9m, Zahoor Ahmed Quetta Rs 0.7m, Zahoor Ahmed son of Haji Abdullah Samad Quetta Rs 0.74m, Ahmed Khan Quetta Rs 0.814m, Jhangir Khan Quetta Rs 06m, Mirza Mohammad Quetta Rs 0.5m, Mir Khuda Bux Muri, Mir Nawaz Marri, Mrs Elsa Mariie Benazir , Ms Kamal Faria Marri and Miss Anita Marri Rs 1.7m, Malick Abdullah Jan Quetta Rs 0.7m, Ashraf shoe company Mirpur, Kashmir, Rs 6.4m, Abdulleh Saleh Rs 123m Saudia Arabia, Amjad Malick Karachi Rs 2.2m, Abdul Wahab Karachi Rs 2.4m, Ghazala Haq and Amjad Malick Karachi Rs 6m, Mir Mehraullah Mengal Karachi Rs1.2 m.
Mohammad Sadiq of Chand Mills Karachi Rs 0.5m, MB Dhody Karachi Rs 3m, Sardar Mohammad of General Tractor Machinery Karachi Rs 3m, Noor Ali Group, Karachi got about Rs 3m written-off, Mohammad Hussain of Process Pakistan Rs 1.19m, Mohammad Sarfraz Paracha of East Asia Trading Karachi Rs 0.7m, Ghulam Ali Talpur Karachi Rs 0.6m, Lt-Col M . Jaffar Karachi Rs 2.7m, Noor Ali Hirani Karachi Rs 1.2m, Sun Publication Rs 1.3m, Tariq Jaffar Campher Pak Karachi Rs 10m, Mohammad Pervez, Col Akhlaq Ali Khan, Talibul Rasool, Abdul Jalil, Mohammad Yousaf Mirza of Allied Textile Mills Larkana Rs 296m, R Hasan Ali, Hyderabad Rs 0.9m, Mehboob Elahi of Sindh Tanneris Hyderabad Rs 4.89m, Haji and company Lahore Rs 0.9m, Syed Amjad Ali Gujranwala Rs 2.178m, Ch. Mohammad Anwar of Elegzender and co Rs 1.7m, Mohammad Younis of Younis Company Lahore Rs 8.4m, Sh Javed Iqbal and Brother LahoreRs 2.4m, Denn Autos Lahore Rs 1.8m, Begum Sherin Wahab, Abdul Qayum, Mumtaz Ahmed Abdul Jabbar, Mrs Sahiba Qayum of Sarhad Cresent Indsutries Rs 9.5m, Javed Zia, Mrs Kasur Javed, Salman Zai, Umer Javed, Miss Amber Javed nad Zafar Inami and Ghulam Rasool of Okara Textile Mills Rs 126million. And Fazal Elahi Malik, Teshin of Ally Hoisery Mills Lahore got Rs 0.7 million written-off. In year 2000, the NBP wrote off many loans. In Peshawar Rs1 m of Mrs Aurangzeb of Ms Rahman Ice Factory was written-off. FAISALABAD: Maryam Fatama weaving factory, Rs 4.5m, Ashfaq Hussain of Al Najaf Traders Faisalabad Rs 2.5m, Ch. Mohamamd Tufail of Rehan Cotton Primahal Rs 1.4m, Ms Sajja International F/abad Rs 0.5m. MULTAN: Mohammad Hanif Rahm Yar Khan Rs1.0m, Mhamamd Aslam RYK Rs 0.9m, AJ Textile Industry RYK Rs6.9m, Madni electric traders Ahmedpureast Rs 0.666m, Ghulam Jaffar Jalwana Bhwalpur Rs 0.6m, Irfan Salman paper mills Sadiaqabad Rs 7.3m, Mian Tariq Gurmani and Suryia Iqbal Gurmani Thatta Gurmani Industries Kot Addu Rs1.5m, Al. Farooq Electronics Rs0.5m, Al Hasnaian Enterprises Rs 0.646m, Rizwan Textile Mills Rs0.6m, Mehboob Ahmed Rs 0.7m, Mohamamd Khalid Rs0.6m, Abul Sattar Rs 0.5m, Shahid Pervez Rs 0.7m, Al Azhar Textile Mills ( Mirza Azhar Beg nad Mrs Rafiqan Begum) Rs 6.4m, Barington Pharama of Pervez Iqbal Rs 1.9m, Jhandir Textile of Mohammad Akram Rs 0.5m, Mohammad Naeem of Four NS Fabrics Rs 1.3m, Mudasar Haider Chemica Rs1.5m, Sultan Wool Industries, Sahiwal Rs1.11m, Baby soap factory Kasoor Rs 2.7m, Mian AND Company Malsi Rs 0.7m Dhah Brothers weaving Vehari of Munir Khan, Sadia Shabnam, Raheem Baksh Rs 3.2m and Javed Cotton Industries Lodhran of Malik Usman, Malick Meraj Khalid and Mohammad Ajmal Rs 1.5m, and Mashallah Cotton factory Mailisi Rs 0.9m. HYDERABAD: Sardian Paints Rs 2m, Al Amna Entp Rs 1m, MS Prince Rice Rs 1.3m, Niazi Ice Rs 1.44m, Associates Rs 0.766m, Jan Mohammad Rs 0.6m, Abdul Jabbar Rs 0.7m, Ali Gul Brohi Rs 1.1m, Abdul Majeed Rs 0.9m, MaliK Rice Mills Rs 2.7m, Intasia Entp Rs 43m, Expotex Limited Rs 49m, Excelisor industries Rs 5.1m, All Leather Limited Rs 1m, Mumtaz Mohammad Khan Zai Rs 0.772m, Sameer Garments Rs 0.8m, Rafiq Saigal, Afsar Khan, got two loans of Allied Paper Industries Karachi to the tune of Rs 35m written-off. Abdul Rashid Rs 0.5, Khan Ice Factory Rs 1m, Ashraf Traders Rs 0.7m, Anglo Universal Karachi Rs 0.7m, Gulf Food Industries Rs 0.8m, Makhdoom Traders Rs 0.5m, MA Footwear Rs 1.1m, Commodity Impex Rs 3m, Fetisal Grain Rs 1.2m, Aftab Garments Rs 0.6m, Citizen Process Rs 0.5m, Farm Products Rs 0.7m, Javed Iqbal Rs 0.6m, Masood Ahmed Qureshi Rs 1.14m, Moash Traders Rs 4m, Sabeena Enterprises Rs 8.9m. LAHORE: Ms Jarral International Rs 1.8m, Ms Ghulam Hussain Rs 0.9m, Ehssan Machinery story Rs 0.5m, Tariq Mansoor Rs 0.8m, Zab Poly Proplyeine Products Rs 3.4m, Syed Waseem Ahmed Rs 0.55m, and M/S Wasjid Ali of Gulberg-II Rs 18m. ISLAMABAD: Bashir Awan Rs 0.7m, Tariq Rehman Rs 0.7m, Amir Nawab Rs 0.9m, Azra Noreen Rs 2.2m, Nasir Fatima Rs 2.2m, Inamullah Saeed Rs 1.2m, M Safdar Rs 0.88m, Star Corporation Rs 2.735m, Mughal Ice Plant of Col Rafiq Baig Rs 1.3m, Shaheen Engineering Rs 2.2m, Fazal Electric Rs 0.7m, Malick Mohammad Akhtar Rs 0.5m, Yaqoob Brothers Rs 0.5m, Amjad Gilani, Tariq Gilani and Khalid Gilani of Nisa Enterprises Rs 0.5m. EX-MBL: They belong to Karachi. Al Rehman Services Rs 0.6m, Baba Manna Rs 1.m, Saeedudin Zubair Rs 0.6m, Trade Link of Manzoor Qaider Rs 1.2m, Bhai Hashim Rs 0.7m, IK Corporation Rs 0.7m, M Farooq Rs 0.6m, and Saleem Khan Rawalpindi Rs 0.7m. QUETTA: Sonmiani Fish Rs 2.2m, Abdul Qadier Rs 0.511m, Mohammad Alam Rs 0.5m, Hanid Moula Dad Rs 0.5m, Mohamamd Ramzan Rs 0.5m, Mohammand Hassan Rs 0.5m, Gul Mohammad Rs 0.5m, Mazar Khan Rs 0.5m, Faiz Ahmed Rs0.7m, Abdul Mateen Rs 0.86m, Shin Gul Tareen Rs 0.6m, Abdul Qadir Rs0.6m, Mohamamd Zahir Rs0.77m. KARACHI: Amed Trading Rs 2.9m, Farna Ice Rs 1.2m, Mohamamd Yasin Rs 1m, Shaffaf Ice Factory Rs 2.5m, Anwar Iqbal Rs 1.1m, Engineering Products Rs 1.5m, Indus Oil Expellers Rs 3m, Poshak International Rs 0.8m, Eastern Garments Rs 21m, Asif Owais Rs 0.6m, Nazir Ahmed Rs 0.8m, Mohammad Khursheed Khan Rs 0.5m, Mohammad Ramzan Rs 1m, General Traders Rs 10m, Quality Builders Rs 1.5m, Karachi Water Proofing Rs 0.9m, Mohammad Ramzan Rs 0.6m, Hukum Khan Rs 0.8m, Syed Raziddin Rs 0.5m, MS Tehseen Rs 0.5m, Yousaf Cheema Rs 0.7m, Jamil Rs 1.3m, Shabbir Ahmed Junami, Tasveer Ahmed Jumani, Taheree Ahmed Jumani, Azshraf Kahton, Salla Jumani, Shaukat Memon and Ms Shereen Jumani of Annud Textile Mills got a massive loan of Rs 279m written-off. Abid Hassan Rs 0.5m, Haq Nawaz Dahri Rs 0.5m, Shah Nawaz Khan Rs 0.5m, Fizza Nazim Rs 0.8m, Mohammad Hayat Rs 0.5m, Nadeem Ahmed Rs 0.7m, FB Burki Ice Factory Rs 1.4m, Karachi Transport Corporation Rs 79m, Babar Rafiq Rs 0.6m, Nisar Ahmed Rs 0.5m, Qaisruzzman Rs 0.6m, Sajjad Hussain Rs 0.5m, Nasir Rafiq Rs 0.5m, Badar Ahmed Rs 0.5m, Manzar Farreed Rs 0.6m, Khalid Mehmood Rs 0.6m, Saeed Ahmed Rs 0.6m, Jawaid Textile Industries Rs 0.9m, Mansoor Yousaf Rs 0.5m, Mohammed Ismail Rs 0.5m, Aamir Hashmi Rs 0.551m, Sajid Ali Rs 0.7m, Mushtaq Hussain Rs 0.5m, Tahir Ehtasham Rs 0.6m, Mohamamd Noman Bhatti Rs 0.5m, Saleemuddin Rs 0.5m, Anissudin Rs 0.6m, Mobina Begum Rs 0.6m, Miss Tabassum Shehnaz Rs 0.6m, Mohaamd Yousaf Rs 0.6m, Mant Lal Maulal Rs 0.67m, Athar Batool Rs 0.78m, Shahid Khan Rs 0.5m, Azam Afraid Rs 0.6m, Syed Qasim Hussain Rs 0.539m, Syed Khaliluddin Rs 0.575m, Abdul Qayum Rs 0.681m, Mohammad Burhan Khan Rs 0.825m, Syed Khuram Raza Naqvi Rs 0.543m, Saad Ahmed Rs 0.6m, Hasan Shakeel Rs 0.8m, Ali Hassan Rs 0.534m, Mohammad Irfan Rs 0.55m, Shafiq Ahmed Rs 0.8m, Khwajamoinul HasanRs0.666m, Raza Hassan Rs 0.5m, Syed Afaq Rs0.6m, Syed Mohammad Nasim Ali, Rs0.6M, Mohammad Aslam Rs 0.6m, Syed Aslam Ali Rs 0.6m, Asif Rehman Rs 0.665m, Asif Rehman Rs 0.66m, Asim Ilyas Rs 0.5m, Adnanul HassaN Rs 0.8m, Syed Rasheed Ahmed Rs 0.5m, Monbina Afzal Rs 0.7m, Kamran Rauf Rs 0.7m, Najam Akthar Rs 0.8m, S Sharafifuddin Rs 0.8m and Imtiaz Hussain Zaid Rs 0.6m. Khalid Beg Rs 0.5m, Mohammad Aman Rs 0.6m, Tariq Baloch Rs 0.666m, Mohamamd Mobin Sheikh Rs 0.6m, Ms Golden Plant Ind Rs 0.7m, S Ali Ahmed Zaidi Rs 0.7m, Siddiqi Rs 1.1m, Ms Pakistan Rs 1.4m, Ms Metropolitan Rs 190m, Altaf Husain Shah Rs 0.5m, Mehmoodul Hassan Rs 0.5m, Mashiuddin Rs 0.9m, Aitzazuddin Rs 1.55m, Ihtashamuddin Rs 0.55m, FS Aizuddin Rs 0.5m, FS Ayazuddin Rs 1.6m, Mrs Shaim Fatima Rs 0.6m, Iqbal Shakoor Rs 0.6m, Mujeebuddin Rs 0.5m, Mrs Meharur Nisa Rs.7m, Anwar Raza Khan Rs 0.7m, Anwar Raza Khan Rs 0.7m, Mohmmad Jamil Rs 0.9m, Sardar Shakeel Rs 0.6m, Rashid Ali Rs 0.6m, Mohmmad Hanif Rs 0.8m, Abdul Shakoor Rs 0.6m, Adnan Husain Rs0.7m, Ahsan Anjum Rs 0.66m. Fareed Gul Rs 0.6m, Khuda Bux Rs 0.5m, M Faisal Rs 0.7m, Basir Alam Rs 0.6m, M Waseem Rs 0.65m, Mrs Rubena Rs 0.665m, Shahbaz Aqeel Rs 0.659m, Sharjeel Qaider Rs 0.5m, Tahir Anjum Rs 0.655m, Abdul Azim Rs 0.5m, Abdul Razak Rs 0.5m, Akhtar Hussain Rs 0.5m, Asif Sormoo Rs 0.554m, Fayyaz Ahmed Rs 0.544m, M Saleem Rs 0.5m, Sadia Bano Rs 0.5m, Moizuddin Rs 0.5m, Adul Haq Rs 0.54m, Mrs Kasur Perveen Rs 0.5m, Mohammad Rafiq Rs 0.55m, Mohammad Saleem Rs 0.5m, Rana Mohamamd Rs 0.545m, Rukhsan Begum Rs 0.5m, Rehan Shahid Rs 0.5m, Tahir Raza Rs 0.5m, Ashifaq Ahmed Rs 0.5m. Year 2002: Following tycoons got their loans written-off in 2002. Agri Autos Inds, Haleema Majeed Sons, Amie Investment, Sultan Textile Mills, Century Weaving, Husasin Towels, Durrani Associations, Nasir Khan, Muhammad Zafeef, Mohammad Usman, Ali Bux, Malick Munsif Khan, Mohammad Usman, Nabi Bux Baloch, Nisar Fatima, Akhar Bhugi Assoicates, Irfan Basharat, Samco Industries, Saeed Hasan, RN Stell products, Punjab Ceremic, Mahbub Ashraf, Gulberg Caterers, Samanabad enterprises, Azhar company, Sindhu Marbal company, Shabirruddin, Mohammad Husain, Rashid Sons, Rehman Oil Mills, Abu Bakar cold storage and oil factory. A few of those who got loans written off were genuine cases as they suffered sick industry or bankruptcy. Their loans were written off according to rules and prevalent law. Some of the beneficiaries, however, submitted bogus claims and the banks did not follow rules and regulations in writing off their loans. This entry was posted in Knowledge Bank, Random and tagged Loan Waiver Beneficiaries, NRO, Pakistan, Pakistan Politics.